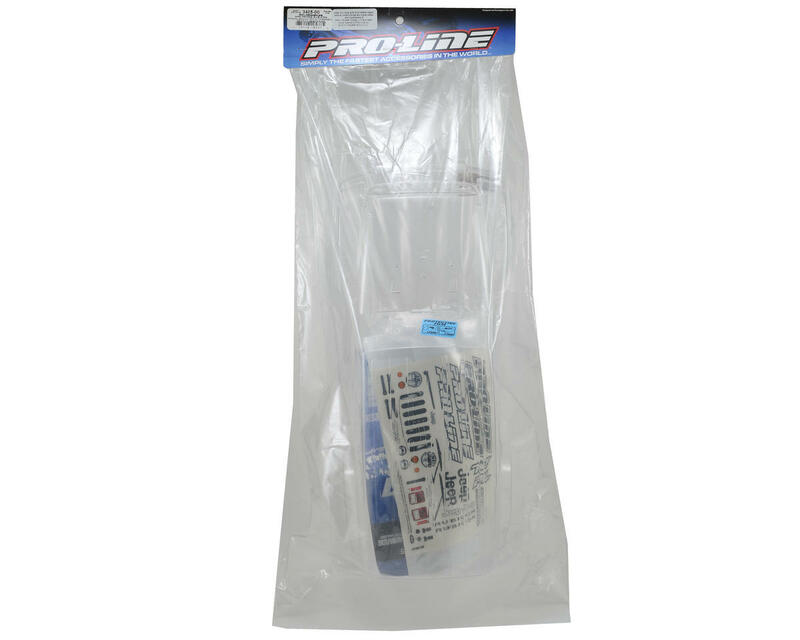 This is the Pro-Line Jeep Wrangler Unlimited Rubicon Monster Truck Body. 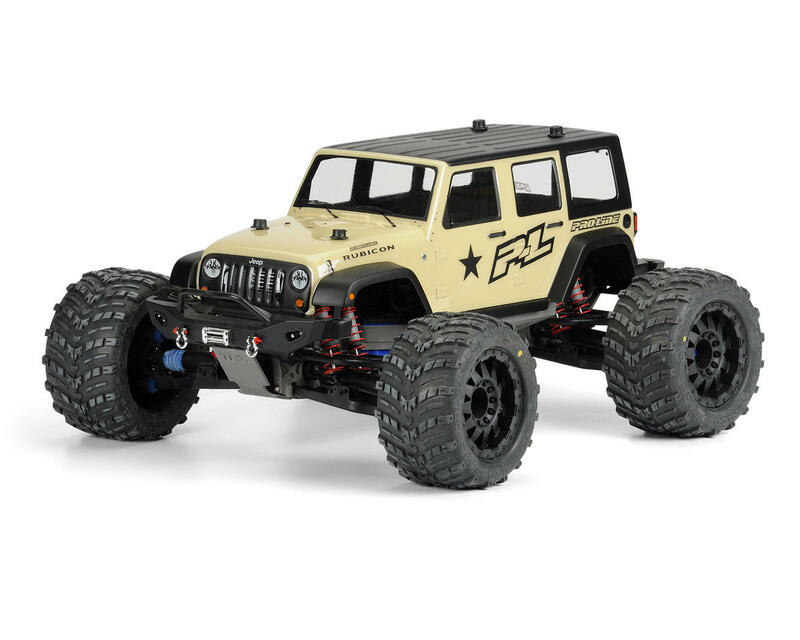 Pro-Line has taken the full-size Jeep Wrangler Unlimited Rubicon design and scaled it down to exacting specifications for a perfect fit on your Monster Truck! 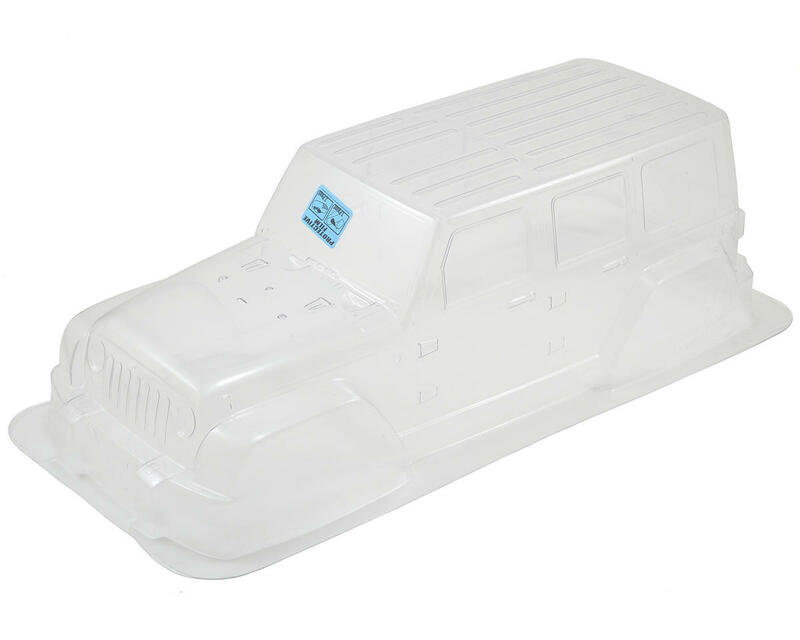 The Wrangler Unlimited Rubicon body is molded from super strong lexan material, and delivers innovative high detail features such as front and rear bumpers and taillight lenses that will separate your truck from the crowd.